We are all evolving through the world of technologies, innovations and up gradations. Are you actually aware of the impact of digital marketing? Are you still stuck up with the traditional way of establishing yourself? Haven’t you thought about getting famous through the new media? There is only one answer to all these questions; pull up your sleeves and get in touch with the digital marketing. Almost 90% of the clients are using mobile phones for their daily transactions. So when we focus on promoting our site or business through the new media, it has to work with ease in mobile phones and tablets. This increases the site traffic and people gets to know about you more. No! Not that organic food! It is about bringing your site up front in web searches by optimizing it. This helps the search engines to find your business firm or website easily and can connect to the user who checks for related items. SEO and SMM will definitely increase the website visibility. 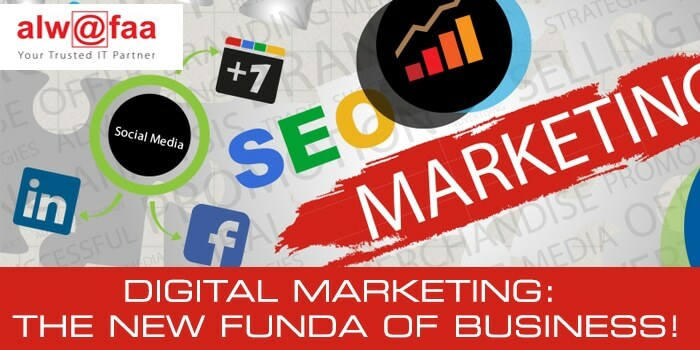 It is one the most effective factors in digital marketing. Getting linked with a blog can provide the visitors with fresh and relevant information. This can actually encourage the visitor and indirectly influence them to visit our site. Social Media Marketing is one of the hit lists of new media marketing. It makes sure your branding among your competitors. It shares the updated information about your company and distributes the products and services in an easier manner. Facebook, Twitter, Instagram, and Linked in etc. helps you reach in top priorities if you are clever enough to grab the opportunity. So you must have got an idea about what it is all about. Last but not the least, make sure that important ingredients are already in your hand to make the magic. Wondering what they are? It’s not that difficult! Just make sure that your website is flexible and reliable and it has an updated blog, refreshing and proper guide lines to the visitors, building up trust and getting a steady stream of customers through regular posting in social media and YouTube, engage your viewers who are interested in your site and always give something extra, make up a cool social face for your brand to develop relationship with your clients and well-wishers, there should be a track for your viewers number and site traffic, and at last try to encourage e mail marketing to make sure you are genuine and trust worthy. That’s all and try this new trend, if you haven’t done it so far! Don’t we need to be upfront in this techie world?